The submission window for the 2019 Prize is open and will close on the 1st of December 2018. 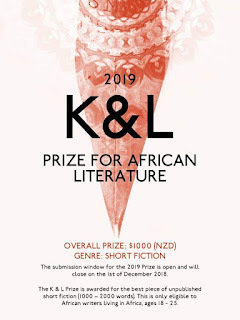 The K & L African Literary Prize is awarded for the best piece of unpublished short fiction (1000 – 2000 words). This is only eligible to African writers living in Africa, ages 18 – 25. Send your short fiction as an attachment to id.ojabo@gmail.com. Send a brief bio (age, nationality and location included) using the body of the email. Use name, age and short fiction’s title as the email’s subject. – Must be between ages 16 to 25. 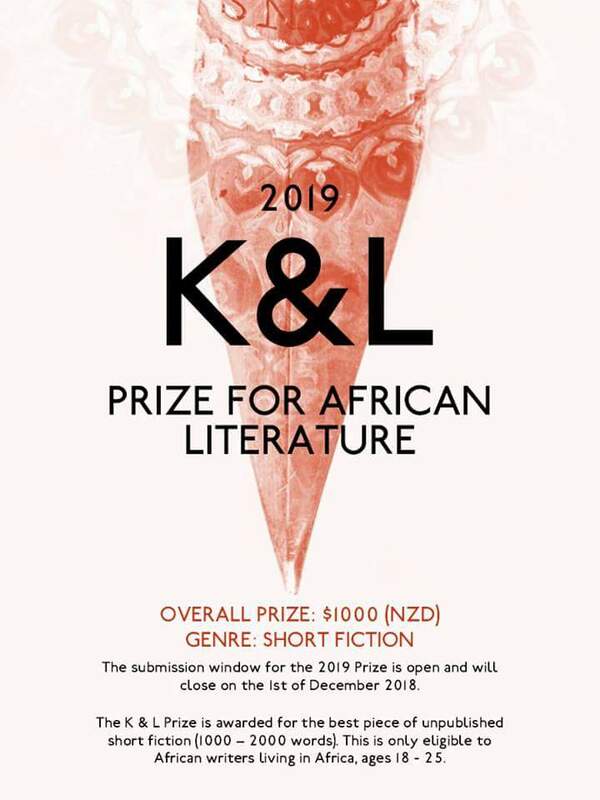 This is a prize set up by Myles Idoko Ojabo for emerging writers in Africa. His aim is to inspire and support diverse creative writings from the continent.